Argyle House is a beautiful three storey three bed house built in 1830, it has a courtyard garden and off street secure parking/garage. Ideally situated in the heart of Whitstable, 5 minutes walk to the harbour, beach, train station and 1 minute walk to the unique shops, bars, cafe, restaurants, pubs and various art galleries, theatre etc. Sarah and Colin are pleased to offer their recently restored town house which is now available. It offers three generously sized double bedrooms, two reception rooms, a large fully equipped kitchen diner with a stunning lantern light a separate utility room and a downstairs loo. Two of the bedrooms have full size double beds and one bedroom has two single french beds with zip link mattresses, to make into a full super king size bed with 100% eygyptian cotton white sheets. All the rooms have full free broadband internet and USB charging points. The reception rooms are comfortably furnished, one has a large open fire. 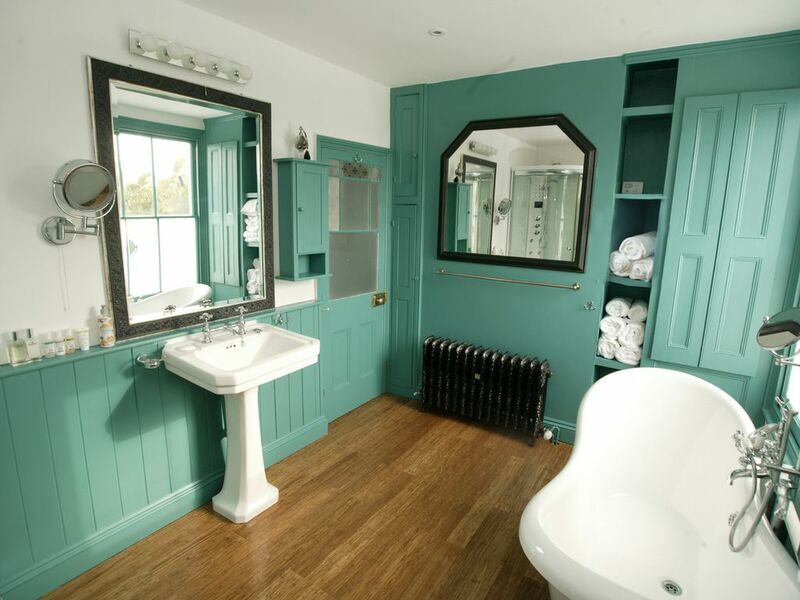 An opulent, luxurious and large bathroom awaits, with a Victorian style slipper bath, a large shower for two, which includes a steam room and a throne style loo! Plenty of white towels and beach towels are provided. There is also a downstairs loo. A pretty south facing courtyard garden with rambling roses and jasmine climbers which greet you at the end of the kitchen. In the garden there is bench seating and a table. A lock up garage is also available on request (1 min walk away). The house is perfectly located on a quiet road in central Whitstable just off the high street. The Harbour, the beach, the fabulous array of shops, restaurants, cafes, pubs, the Playhouse Theatre, and the train station are all on your doorstep! There is full access to wifi broadband and cable TV including Netflix. If you require logs, kindling etc to be in situ, let us know, a charge of £20 cash is payable on arrival. Please note as with many houses in Whitstable we have a steep set of stairs, which lead to the third floor. Just came home from a wonderful weekend in Argyle house with friends. The house is beautiful and spacious and was sparkling clean on arrival. It's in a great location, very close to the centre, station and beach. Colin was efficient and a kind and accommodating host. We would definitely like to return!